Likely announced during CES week, Warner Bros Advanced Digital Services is prepping a photo sharing service called Out My Window according to a report from Fusible. 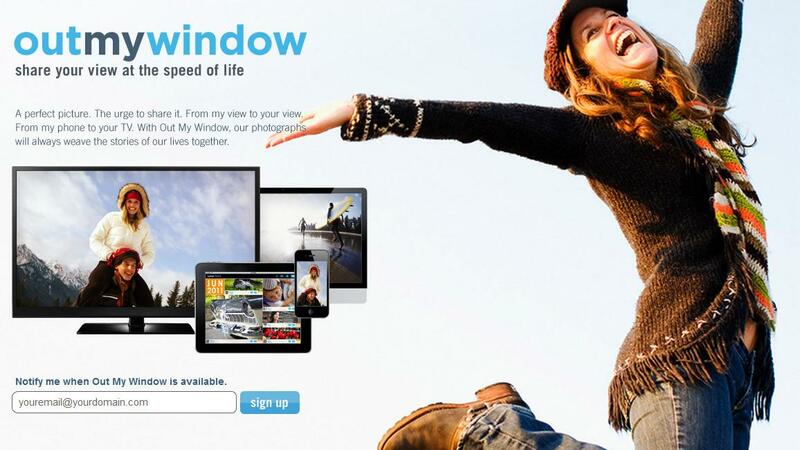 Users can visit www.outmywindow.com and enter an email address to be notified when the photo sharing network launches. Using the tag line “Share your view at the speed of life,” the one-page site also tries to market the concept with “A perfect picture. The urge to share it. From my view to your view. From my phone to your TV. With Out My Window, our photographs will always weave the stories of our lives together.” This statement alludes to the possibility that users will be able to share photos between mobile smartphones, computers and televisions. According to the Terms of Service page, users will be able to create a social profile to upload and share photos as well as rate photographs, mark favorites, connect with friends, builds albums and designate photograph locations. The site is also being designed for compatibility with Google and Facebook accounts, likely utilizing login buttons rather than forcing the user to create a new account from scratch. The ToS page also alludes to the ability to make purchases on the site, but this could mean anything from a premium version of the service to the ability to create physical prints from photos. According to various trademark filings, Warner Bros. Entertainment has also mentioned video sharing in addition to digital enhancement of photos using digital imaging software. It’s possibly that users will be given the tools to digitally enhance photos after uploading a batch of pictures to a social profile. Providing the ability to upload videos to the site also brings up the possibility that Warner Brothers is grooming this site as a potential YouTube competitor or simply another venue to rent of digital versions of WB movies similar to the Facebook application.